We all know at least one person who treats their car almost like a member of the family, with weekly car washes, extra-cautious driving habits, and a strict adherence to regular maintenance schedules. These are the type of car owners who probably have a long-term, trusted mechanic to take care of all their car’s needs, and while such intense devotion to a machine might raise eyebrows, there’s something to be said about having a reliable place to bring your vehicle for maintenance and repairs. At California Motor Works & Tires, we’re committed to the highest quality auto service for your car, truck, SUV, 4x4, hybrid, or commercial truck. Our skilled technicians are ASE and AAA Certified, and we’re affiliated with several San Diego auto dealerships that can attest to our reputation for excellence. California requires a smog check on most vehicles every other year, and California Motor Works & Tires is proud to be a STAR Certified smog test station. We perform smog checks on all foreign and domestic vehicles, and if your car doesn’t pass, our expert technicians will complete a thorough diagnostic inspection to determine the cause of the failure and recommend repairs to ensure you pass the second time around. A minor shift in a vehicle’s wheel alignment can lead to major repairs down the road, along with related problems like poor handling and control over your car, lower gas mileage, and faster tire wear. When you bring your car in for a wheel alignment, our certified technicians will use our state-of-the-art, computerized alignment equipment to ensure everything lines up with manufacturer specifications. And in order to confirm all components are functioning properly, we also check the front and rear steering, suspension, and tires as part of our standard wheel alignment service. The most essential component of vehicle safety is the brake system, which is why all brake repairs must be completed as soon as possible. At California Motor Works & Tires, our expertly trained technicians will perform a full visual inspection of your brake system, plus a driving test for the most thorough, accurate assessment of any damage. And after repairing or replacing components as needed, our technicians perform a final driving test to confirm everything works properly, so you can get back on the road with peace of mind. The best defense against expensive repairs is to follow the regular maintenance schedule provided by your vehicle’s manufacturer. In addition to comprehensive 30/60/90K-mile services and tune-ups, we also handle oil changes, timing belt inspections and replacement, suspension system evaluation, and more to keep your vehicle in excellent condition. 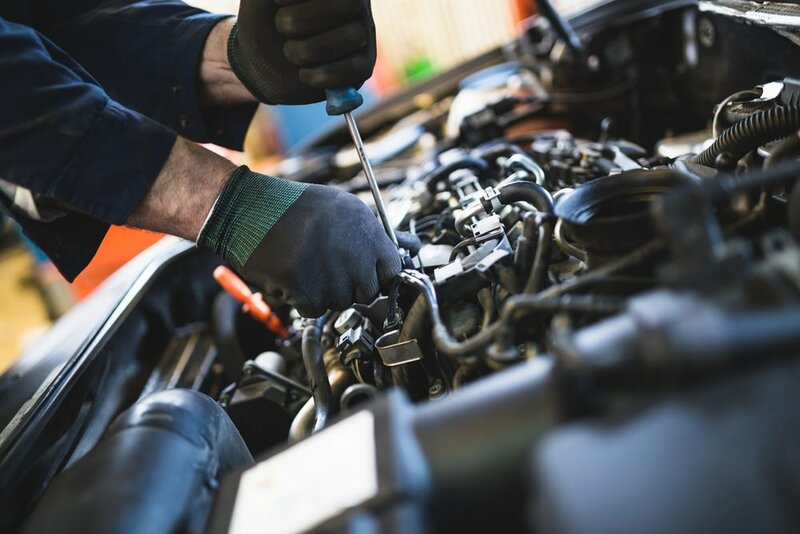 In fact, we’re so committed to preventative maintenance that our auto repair services include a thorough inspection of all related components to ensure underlying problems are not overlooked. At California Motor Works & Tires, vehicle safety and customer satisfaction are our top priorities. So whether your car is like family or you simply want the best auto service around, come on in for your next scheduled maintenance service or repair today.